Are you looking for portability and an easy set up? Or is heater power a priority? Whether you choose to purchase a 110v or 220v hot tub, the decision is up to your needs and lifestyle. The best thing about a 110v hot tub, our Treestand model, is that it has “Plug-n-Play” technology. 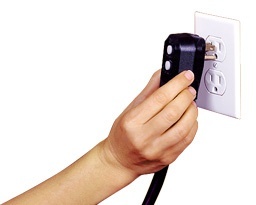 Since it only draws 15 amps, all you have to do is fill it up and plug it into a standard outlet. You won’t need an electrician or hard wiring, saving you money and time to enjoy the newest addition to your mancave or backyard. Easy set up - plug it in and enjoy. Since you won’t need to alter any electrical wiring, you don’t have to own a home to have your own hot tub. If you have the travel bug and enjoy moving around, you can take your hot tub with you wherever you go. 110v hot tubs can be plugged in anywhere. All that 110v talk is nice, but what if you want more power to your heater? 220v hot tubs, our Basecamp model, takes less time to heat up on the initial fill since the heater gets more power. However, there is a misconception that 220v hot tubs affect jet performance – that’s false. Nevertheless, 220v hot tubs have the power to heat the water while the jets are on high at the same time. 220v heaters are 4kw, while 110v heaters are 1kw. All 110v hot tubs can be converted to 220v. Because of the extra power of the heater, 220v hot tubs will heat the water faster. However, both 110v and 220v spas will keep the water hot. 220v hot tubs can heat the water while the jets are on high or low. 110v can heat the water while the jets are on low. Regardless of your chosen voltage, all Realtree Spas come fully insulated, giving you maximum heat retention. Your hot tub will always be hot, and ready whenever you are. 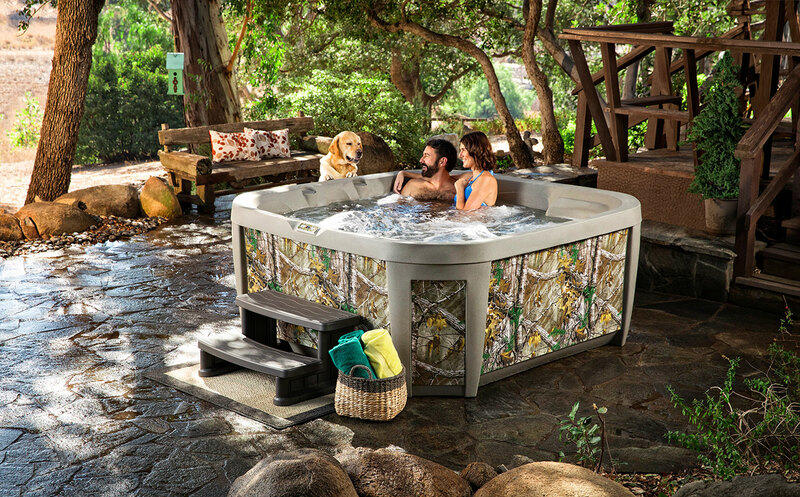 Whatever your priorities, between our Treestand and Basecamp models, we have a hot tub for you. If you have any questions, don't hesitate to contact us via e-mail or give us call at 1-888-961-7727. .